Ariel can be used as the data source for your mail merge. 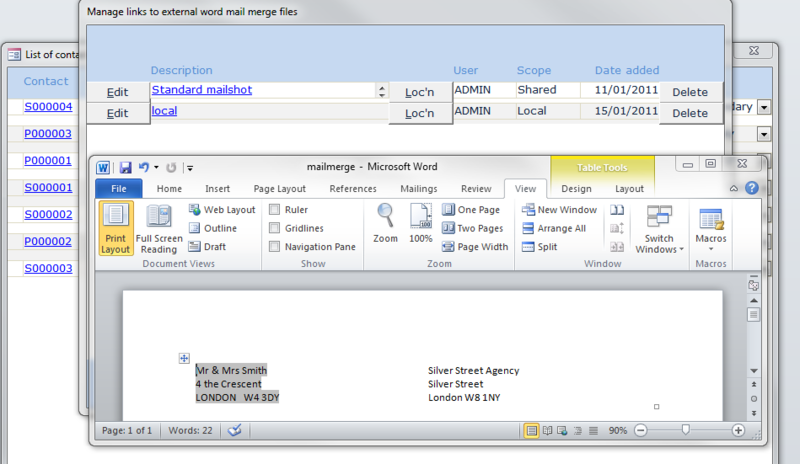 In the screenshot above the source for the mail merge is kept within Ariel. You maintain the list(s) of names and addresses within Ariel. You can produce a mail shot for some or all of your contacts held within Ariel.